Nifty Metal index has fallen 5% in the past three trading sessions, at its lowest level since June 30, 2017. Shares of metal companies were trading lower for the third day in a row on concerns of deteriorating Chinese demand outlook that weighed on commodity prices. Nifty Metal index was down 1.6% to 2,979 levels in the intra-day trade, hitting 18-month low on the National Stock Exchange (NSE). Nifty Metal index has fallen 5% in the past three trading days, as compared to a 1.4% decline in the Nifty 50 index. It was trading at its lowest level since June 30, 2017. Jindal Steel and Power (JSPL), NMDC, APL Apollo Tubes, Tata Steel, Hindalco, JSW Steel, Steel Authority of India (SAIL) were down in the range of 1% to 5% on the National Stock Exchange (NSE). Tata Steel hit a 52-week low of Rs 483, down 2%, extending its past two days 5% fall on the NSE. It has fallen below its previous low of Rs 487 touched on December 11, 2018, in the intra-day trade. JSPL dipped 5% to Rs 150, which was 7% away from its 52-week low price of Rs 140 touched on December 10. The stock slipped 10% in the past three trading days. LMEX, a gauge of six metals traded on the London Metal Exchange (LME), hit 18-month low on Wednesday, January 2, 2019. LMEX index was down 7% in past one month. 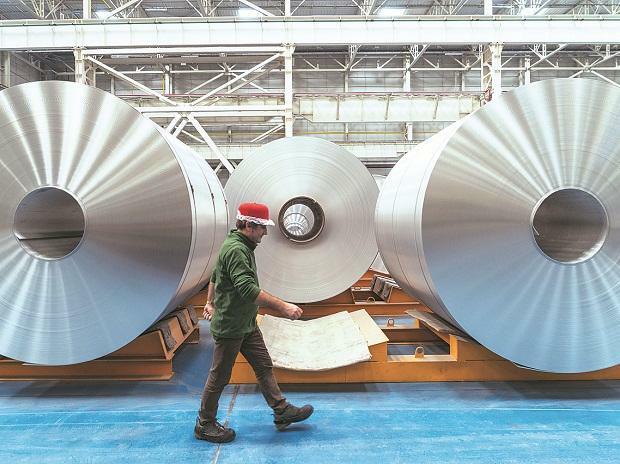 World Steel Association (WSA) expects Chinese steel demand to be flat in 2019 in the absence of any major stimulus measures that were seen in H12018 particularly for the real estate sector. “Steel demand is expected to grow around 6-8% over the medium term with the thrust on infrastructure, affordable housing, and preference for domestic steel in government projects under the steel policy. Domestic steel prices have weakened, impacted by the lower international prices and global trade war woes. Valuation multiples for global metal companies have contracted reflecting the subdued economic outlook,” analysts at Antique Stock Broking said in metals & mining sector update on December 12, 2018.